The traditional annual performance review may be giving way to different feedback mechanisms, as some law firms move to systems that allow for more immediate and meaningful discussions about performance and goals. While software programs can track performance appraisals, goal-setting and compensation, the trend to make performance management more personal is gaining steam – thanks, in large part, to millennials. Hogan Lovells US LLP last year launched its Pathways program, a professional development system divorced from the compensation process. Pathways encourages supervisors to give quick, actionable feedback and encourages associates to ask for it, according to Allison Friend, Hogan Lovells’ chief human resources officer. With job descriptions for every role, attorneys know what is expected and can make plans for their development with supervisors, Lynch said. “Times change and you’d better change with them,” he said of the switch to a new performance assessment model. Lynch said the millennial generation has made law firms rethink a lot of their feedback and review structures. However, he said, it is not just younger attorneys who prompted – and appreciate — the trend toward a new performance model. “We find that people want to work and they want to do a good job, and they want to know when they’ve done a good job; they want positive feedback and they also want to hear constructive feedback, and they don’t want to hear it nine months later,” he said. 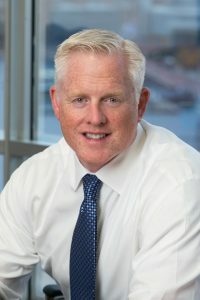 Mr. Lynch is the Managing Partner of Offit Kurman. He also sits on the firm’s Executive Committee. As such, he is responsible for all of the lawyer operations at the firm and he is heavily involved in the daily operations and strategic planning for the firm. Before moving into these roles, he chaired the Commercial Litigation Practice group at the firm. 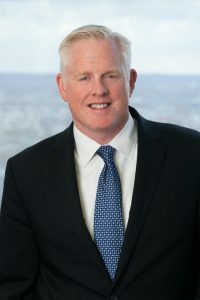 He has a national practice that focuses acting as general counsel and special litigation counsel for many entrepreneurs as well as owner-managed businesses and their owners in a wide array of industries. In that regard, he regularly advises clients on strategic, growth and corporate issues. He also regularly advises financial institutions and key employees on employment and regulatory issues.